Beatstrab facilitates automated copying of music albums using stream recording via the soundcard. The recorded audio stream is cut it into single tracks using silence detection and additional album meta information (acquired by webservice). Recording is easy by providing a Loopback-Mode (records what you hear when playing back music on your computer). All files are tagged automatically. Before recording, you can search for the artist or band name and the album title. Beatstrab uses the album track information in combination with silence detection to accurately cut the recorded audio stream into backup copies of the album tracks. The supported output format is PCM WAV. By the use of external encoders (oggenc and wavepack are included, lame supported), WAV files can be further converted to OGG, WV or MP3. Beatstrab automatically tags all files (e.g. title, recording date, genre etc.). System requirements: Windows 7, 8.x, .NET 4.5, min. screen resolution 1360x765. A soundcard which supports WASAPI is strongly recommended! Beatstrab is shareware and can be tested for 14 days. After that, registration is required for a small fee. Click here to purchase a license key. 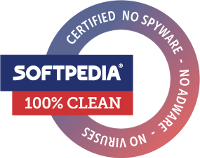 From the End User License Agreement (EULA): The main purpose of this software is to facilitate the creation of 'private copies' of sound recordings. 'Private copy' means that the copy is made by a natural person for private use and for ends that are neither directly nor indirectly commercial. You agree to use the software solely for such purposes. Be aware that it depends on the laws of your country if and how many private copies are allowed. Furthermore, you acknowledge that the avoidance of copy protection technologies (aka 'Digital Rights Management', DRM) and the capturing of recordings from on-demand music streaming services contradict the intended use of this software. In case you infringe copyrights using this software, you are liable for such infringement. Download the current version (1.0_07, windows installer). For more information on how to use Beatstrab, see the user guide.